*Jane Ellen Plotkin, M.A. is an intuitive counselor, consultant and channel. Her work is well known for its wide scope, clarity of detail, penetrating insight and gentle healing power. The combination of her traditional background as a marriage family therapist and life coach, together with her gift of channeling makes her work truly exceptional. a weekly newsletter offering Spirit's solutions to a range of problems from the personal to the global. To sign up, just enter your email address in the form below. WELCOME TO A TALK WITH SPIRT. As our GIFT to you, we are offering first time visitors a free 5 minute answer to any one question. To receive your gift, please read Preparing for a Reading, then enter your question by clicking here. "I see my experience of Spirit as a tiny microcosm - rather like the perspective of a grain of sand flowing through Infinite Mind in the vessel of this lifetime. Of course, everyone has a relationship to Spirit which is unique to them. Mine may be more conscious than most - probably because I have devoted myself to it since childhood. In a sense, it is like most relationships: the more you give, the more you get." "Jane is an amazing psychological intuitive who can tune into people, events, situations and accurately read what most probably will happen. I have asked her repetitively to look into what I am doing, with whom and give me the most probable outcomes. She hits the targets repetitively with finesse, elegance and accuracy. I recommend her great talents without equivocation. I am elated that she counsels me with her wisdom and insight." "It was not an accident when Mark Victor Hansen introduced me to Jane. Her spiritual insights and guidance has been a lifeline for me. And, her ability to cut to the core of a situation has helped me see what I could not see as well as recognize my own strengths. Jane is a gift to anyone who knows her. It is not an accident that you are reading this testimonial." 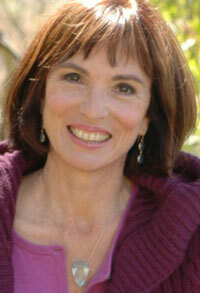 "Jane Ellen is a great intuitive. The combination of her traditional background and her ability to speak from Source is mesmerizing and deeply healing. She is truly one of the greats!" "The Universal connection that Jane Ellen has is tremendous. Her approach to sharing that power is deceptively low key and even more powerful. Her gift of channeling through Spirit is wrapped with her clinical education and tied with the bow of soft-spoken support". "Spirit's guidance through Jane Ellen is full of compassion, love and grace. Jane Ellen has a wonderful ability to look at any given situation without passing judgment. My sessions with her have been incredibly insightful and informative. She creates a safe space for self-expression and her words are clearly divinely guided. At the end of my readings, I always feel that I have all of the mental and emotional knowledge necessary to remove any block in my life". - Desiree Bartlett, Director of Development, Gaia Inc.
"After interviewing Jane Ellen Plotkin, we at Yogi Times wanted to experience her gift and allow her to guide us personally. The accuracy of her comments, practical wisdom and ability to speak directly to our hearts was amazing! She was also able to foresee the growth, look and feel of our business. Her insights provided a great support in our decision making." "The evenings Jane Ellen has offered at Regenesis are fantastic. The information she puts out through Spirit is enlightening; and the question and answer portion that follows generates tremendous understanding for the people who attend." "Jane Ellen is a great teacher. Her messages speak to the truth and offer her audience clarity on topics personal and collective. I am invariably impressed by her stillness, poise, humor and ability to articulate the deep soul material that affects us all. She is a blessing and a guide to those who seek greater awareness.". "Jane Ellen Plotkin has been a blessing for me. Her skill, grace, channel ability and mastery of counseling and caring has helped me to grow leaps and bounds in my journey through life. I have had great experiences with other counselors, spiritual leaders and mentors; but Jane Ellen's work is much deeper and more healing. Thank you Jane Ellen!" "The time I have spent with Jane Ellen Plotkin is truly amazing. She helped me quickly find answers to issues I was facing and in the process gave me concrete ideas with solutions to propel my business and personal life to the highest level. I find her insights and guidance to be invaluable." "I am the owner of a pet store. Since the day I met her, Jane Ellen has been a guiding light both for my business and for my clients. She comes to my store once a month to offer her services. People wait in line for her and look forward to her coming again. Her information is lively, uplifting and seems to help everyone who comes in contact with her. She is a true inspiration." I always feel I am in Spirit's presence when the relaxation process before the journey begins. Spirit knows exactly where my muscles are tight and how to help me relax them. It's such an intimate experience. Then the journeys themselves are always healing, magical and insightful. They have allowed me to explore previously undreamed of dimensions and given me tools I can use to build on the wonderful foundation they help me create." In the Old Testament, the rainbow is a symbol of God's covenant with humanity. It also has a place in the Native American tradition. For the Navajo people, it is depicted as a bridge that leads from one world to the next. In the western mystical tradition, it is connected with the rainbow colored feathers of the peacock - a symbol of alchemical transformation. The proverbial pot of gold at the end of the rainbow is likewise a Celtic adaptation of Saint Patrick's brand of Christian mysticism and is associated with good fortune. Today, the colors of the rainbow are also linked to the Hindu chakra system. Each color is associated with a different chakra. However you interpret the meaning of the rainbow, it is always an expression of the magic of Spirit's presence. At 'A Talk with SPIRIT' each subject area is also color coded.